Flashback to October 2014: I left my full time developer job to go solo. It was the right time to spread my wings and take on the new challenge of creating a business. I had freelanced for years on the side, ever since I graduated college, and it felt like a natural next step to work on my own. But, as the years passed, I still thought of myself as “just” a freelancer. My inner voice told me I was “trying it out” — even after four years. In June, I joined a shared office on Depot Street in the River Arts District. This is the biggest shift for me and my business in four years. 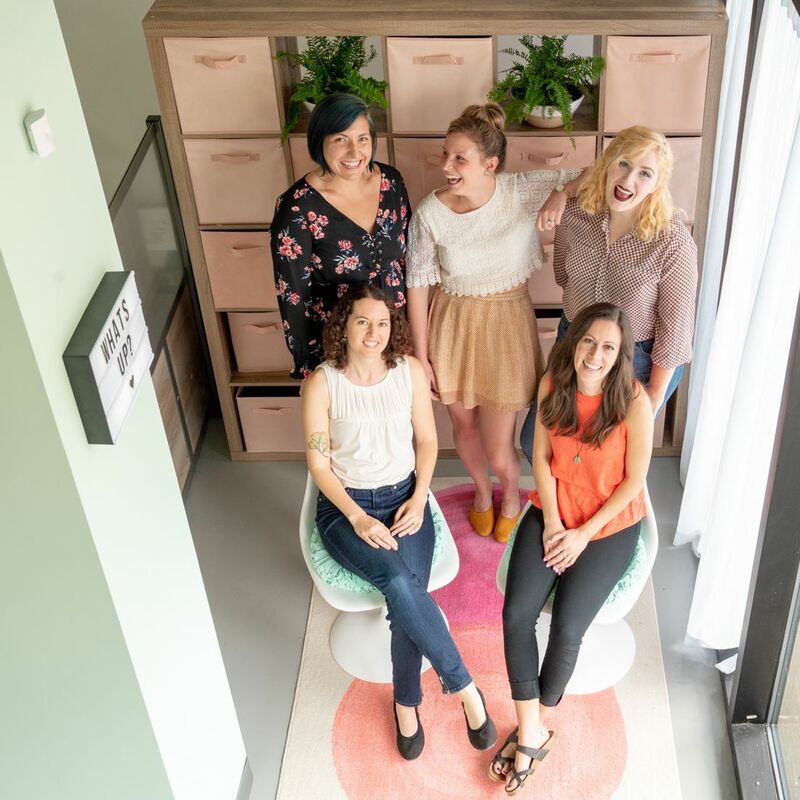 Having my own desk in this beautifully designed space alongside four talented and creative women, is a dream come true – a dream I didn’t know I had. I am forever grateful to Casey Nifong for inviting me to join this space. Getting to know her and the other women has been a joy this year. But beyond that, seeing their businesses thrive and grow is a huge motivator for my own business. I’m inspired by their work, their business practices, and their success. Driving a sports car around a track at 125mph? This was an an experience I never anticipated. For my husband’s 40th birthday we splurged on a big trip to California with friends. 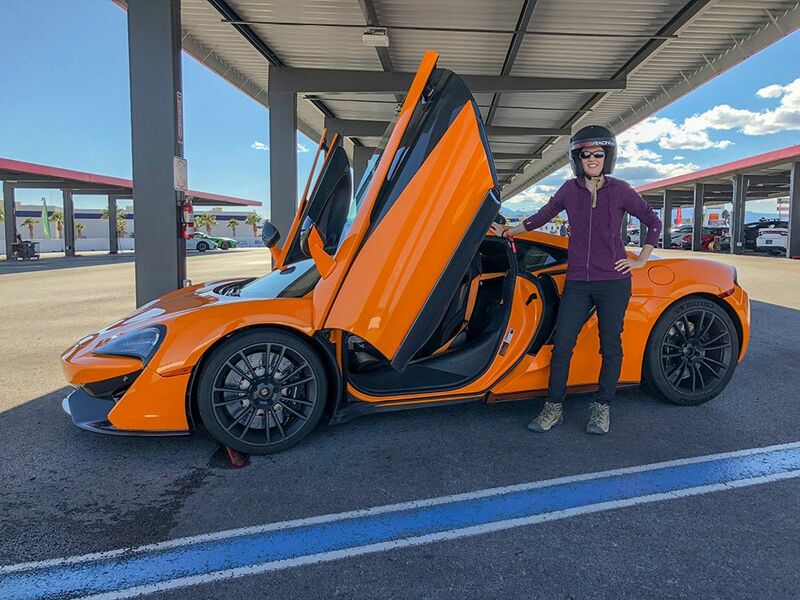 Our finale was a day in Nevada at Exotics Racing Las Vegas. Driving fast cars was at the top of his list — not mine. I was nervous and felt unprepared. I even thought about backing out. But in the end I let go, listened to the instructor…and had an absolute blast. At the end of the day, I clocked the fastest lap time of our group. I tried something scary and unknown, and loved it. For a risk-averse introvert, this was huge. I started to think: if I can do this, I can do so much more. It was a busy year for website and email work, too. 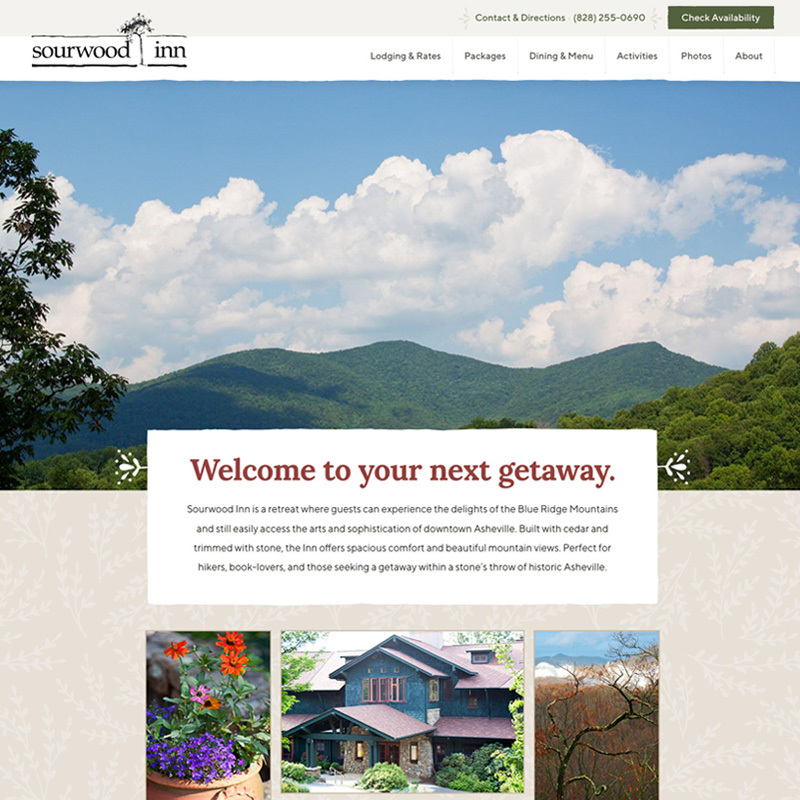 I created a completely custom site for the Sourwood Inn. The Piano Emporium got a custom design to focus on mobile sales. 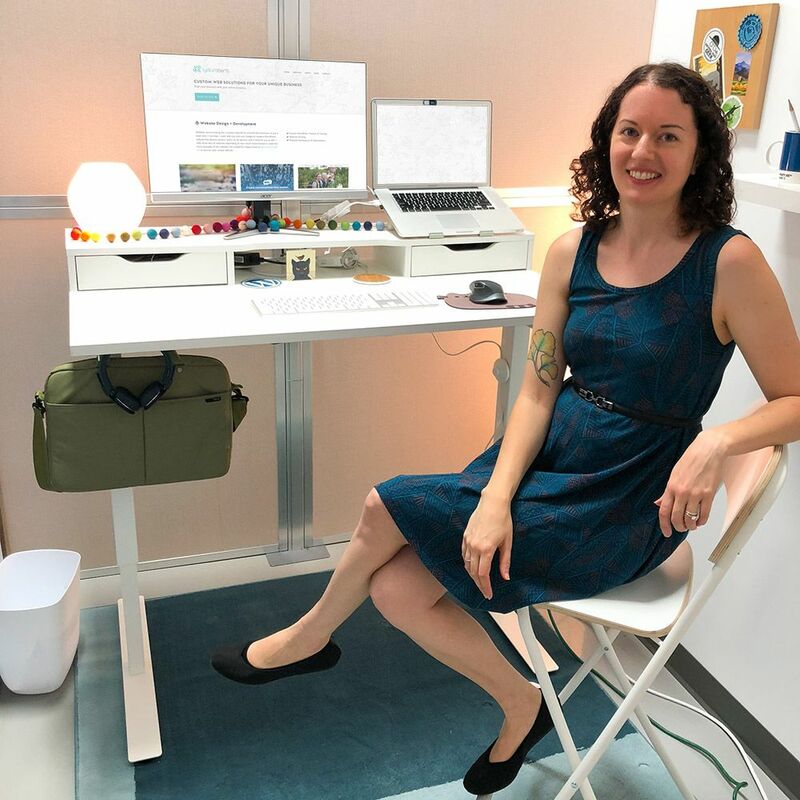 I created a brand new site for River Island Apothecary and guided owner Katie Vie through launching her first online courses on the Pathwright platform. Pamela Millis, LPCS got a completely updated look when we replaced the previous nature stock photos with new professional photography of her and her office. Earlier in the year, I created a new site for Broo using the Divi theme to allow their team to customize their own design. I got to attend an awesome launch party for Hempé. I created the Hempé site in 2017, but this year we updated the site and they began selling through Amazon. Later in the year, I created a new custom homepage for CooperRiis Healing Community, and continue to work with them to improve many areas of the site. In addition, I worked on countless content updates, Mailchimp templates and consulting, and completed major upgrades to WordPress 5.0 and PHP 7.2. Yep, I finally put my business on Facebook and Instagram. 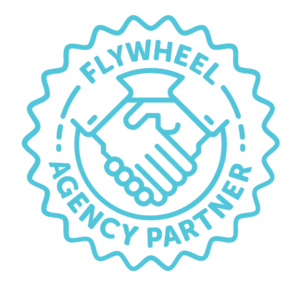 I used to pride myself on flying under the social radar, only to realize I was missing out on a powerful and fun way to express my business. I’m excited to finally join the conversation. 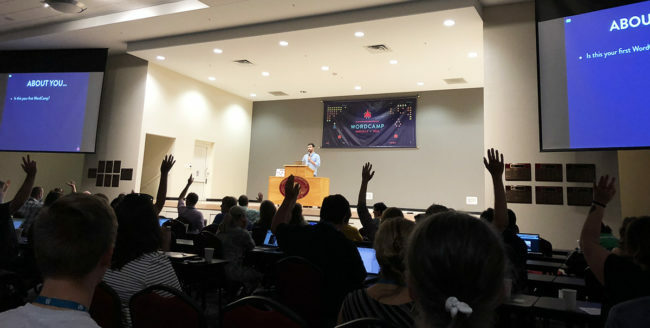 It was a thrill attending and organizing WordCamp Asheville for the fifth year in a row. My involvement in planning took a backseat this year due to travel and other responsibilities. But, meeting with the organizing team is still one of my favorite yearly pastimes and one I plan to continue. I also had the great opportunity to meet so many colleagues this year as well — through gatherings like The Creative League, and as a side effect of the new office. I am incredibly fortunate to live in such a creative town with such kind people. I have set some big goals for 2019. I aim to expand on my service offerings, while getting more focused on my specific packages. And, I’m finally putting a long-mulled-over idea into action this year, though I’m not quite ready to share what that is 🙂 Stay tuned by signing up for my newsletter and thank you for reading! As soon as November 19th, 2018, WordPress will release a major update: version 5.0. 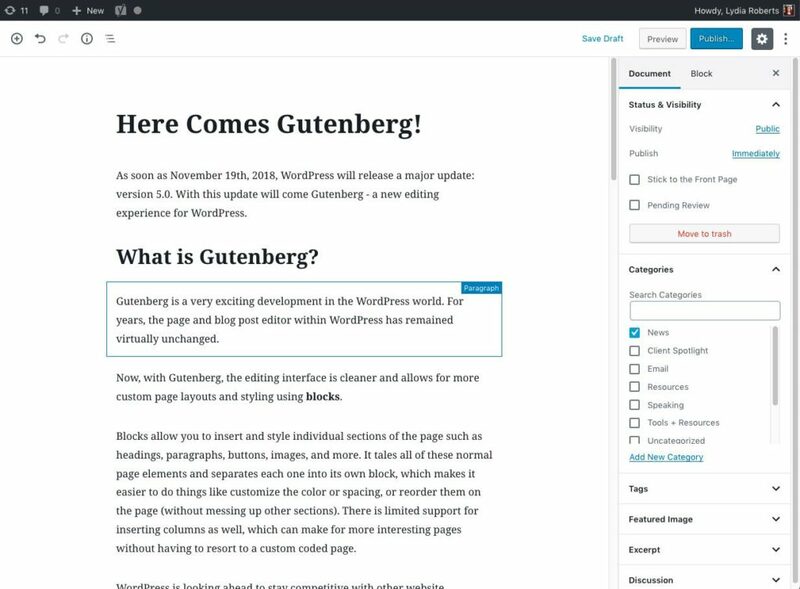 With this update will come Gutenberg – a new editing experience for WordPress. Gutenberg is a very exciting development in the WordPress world. For years, the page and blog post editor within WordPress has remained virtually unchanged. Now, with Gutenberg, the editing interface is cleaner and allows for more custom page layouts and styling using blocks. Blocks allow you to insert and style individual sections of the page such as headings, paragraphs, buttons, images, and more. It tales all of these normal page elements and separates each one into its own block, which makes it easier to do things like customize the color or spacing, or reorder them on the page (without messing up other sections). There is limited support for inserting columns as well, which can make for more interesting pages without having to resort to a custom coded page. WordPress is looking ahead to stay competitive with other website platforms. And, they envision a time may come when the entire website will work using blocks, so that it can be viewed on any kind of device imaginable – not just the phones, tablets, and laptops that we have today. It is a forward-thinking vision and one that I’m truly excited about. How will Gutenberg affect my WordPress website? So far, Gutenberg seems to have very good compatibility with the websites I have tested it on. I have not seen any visual issues on sites that I have built. However, I will continue to test, and in the meantime am using the Classic Editor plugin to suppress Gutenberg until my tests are complete. If your site uses the Divi theme, you may continue to use the Visual Builder to view and create pages. Gutenberg will be available as an option, but you’ll likely continue to use the Visual Builder, since it’s still a much more robust editing experience than Gutenberg. The general consensus is that Gutenberg will not replace editors like Divi. However, over time there may be many more blocks and custom blocks available from WordPress and independent developers. This means the way we build WordPress sites will continue to evolve, and we have more tools at our disposal to create sites in a way that work best for each individual client — and I love that! 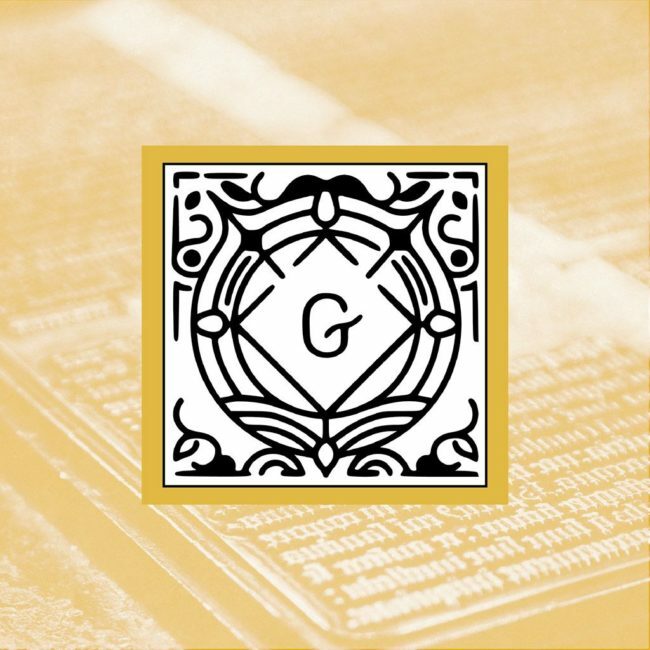 There are lots of resources available that show examples of Gutenberg in action. Check it out and tell me: are you excited about Gutenberg? Nervous, perhaps? What do you look forward to doing with Gutenberg editor that you couldn’t do before? 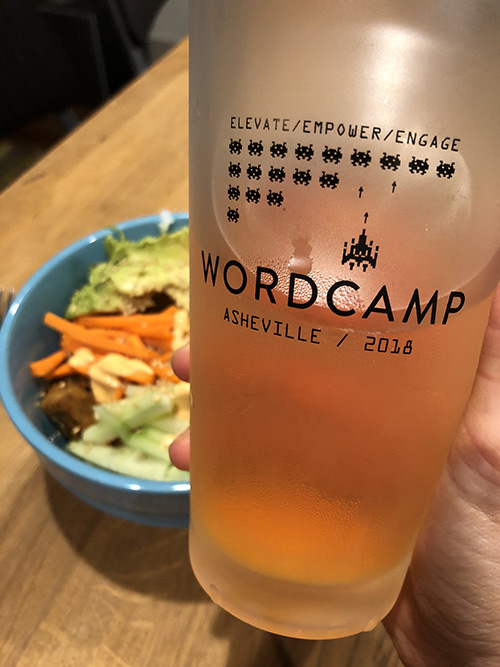 WordCamp Asheville 2018 is a wrap! 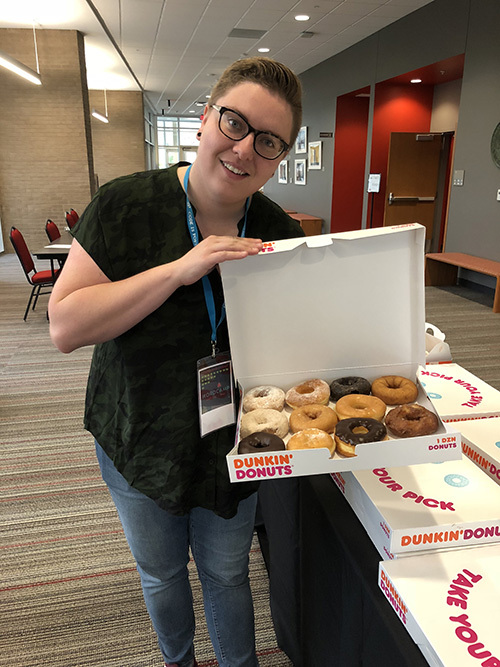 It was the fifth WordCamp Asheville and it might be favorite so far. 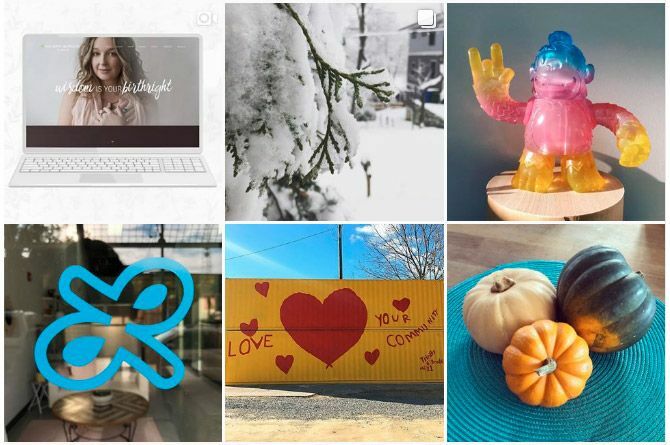 Here are a few of my favorite moments and takeaways from the weekend. 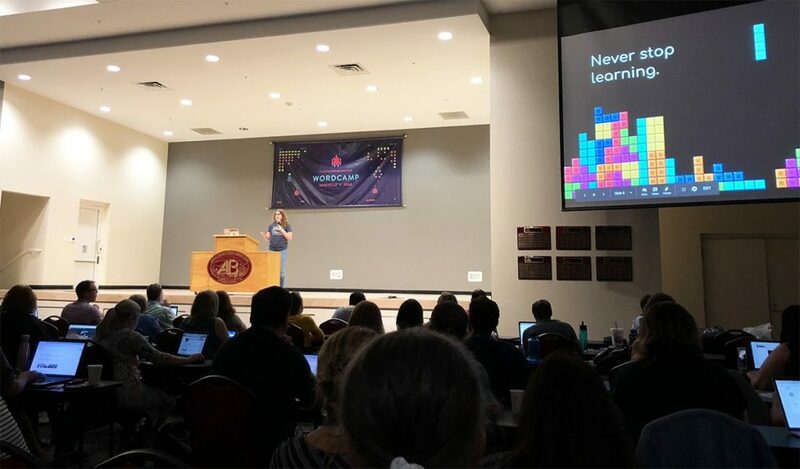 Rachel Cherry’s keynote was a great reminder to never stop learning. Take time each week to read articles, watch relevant videos, or listen to podcasts. Create a block each week to take a deeper dive into a subject, like exploring a new tool, skill, or framework. These deep dives have always been hugely important to me as a freelancer, but I have to admit I’ve let this habit slip the past year. I let myself become busier and busier – sometimes working hard but not working smart – and forgot how much I love exploring articles and learning new tricks. 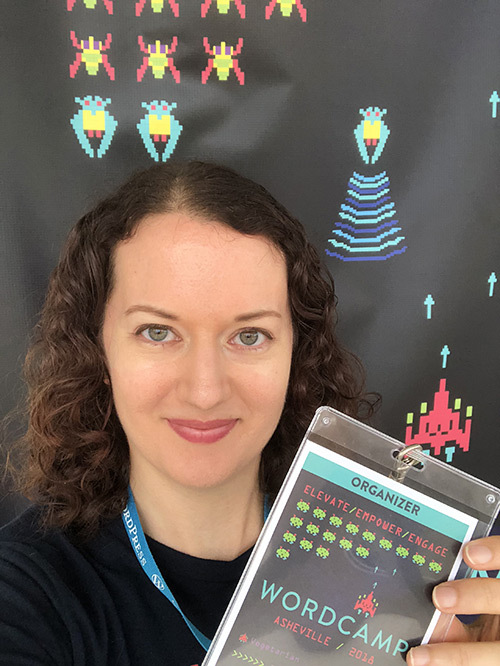 Tiffany Kutcha’s CSS Grid IRL talk got me excited to take a look at this new layout system. I’ve already spent time this week to learn more about it, and have scheduled a deep dive into this on my calendar! It’s so important to just start instead of waiting for everything to be “perfect.” As a careful and risk-averse person I tend toward analysis paralysis. I let myself get caught up in wanting everything to be just right before starting something new. The fact is, we all start out a new thing a little rough around the edges, and it’s ok to appear unpolished. In fact, people seem to relate and respond well to this “realness” especially on social media. Emily Breedlove’s talk A Roadmap to Social Media Sales Funnels emphasized to get started and then re-evaluate whether you like a certain social media medium. Does it work for your target audience? Do you actually enjoy doing it? Are you good at it, or can you delegate it to someone else? Aisha Adams told us that it’s ok to take a stance on social issues on social media in her lightning talk 5 tips for increasing engagement via Social Media. I always thought this might turn people off or scare others away. But if done well it can actually bring the right people closer to you. Over the past couple of years I’ve noticed more speakers getting real about work/life balance and talking about the importance of taking care of mental as well as physical health. A particularly powerful talk is this one from Cory Miller about his own personal challenges and finding support. In Alisa Herr’s session, Winging it: Starting a WordPress Agency, she talked about starting her own agency with a strong mission and set of principles. She mentioned that among other business challenges like finding the right people for your team and maintaining your values, there’s also the challenge of your own negative self-talk that can come with depression and anxiety. One way she’s made progress is by flipping the perceived negatives into positives: I’m not stubborn, I’m determined. I’m not slow, I’m methodical. I’m not lazy, I find creative solutions. Positive self-talk is something I’m also looking to practice more, and it seems like it keeps popping up everywhere, like this recent video from Daniel Pink. Along similar lines, John Hornsby’s talk on Sales for the Introverted Designer really struck home in a great way. John covered some great ground rules for customer service, like avoiding “mutual mystifications” — such as using vague wording like “I’ll call you later” or “as soon as I hear back from so-and-so, I will do xyz.” Creating more clarity in our communication, following up, and having a gameplan for how to handle difficult situations like an upset customer is key. Beyond this he talked about how to approach sales in a way that results in you and your client teaming up instead of facing off, and how this creates a win-win for both parties. I love this metaphor and message! I highly recommend checking out his slides. Apart from the great sessions, we fulfilled one of my WordCamp dreams – donuts for breakfast! My husband is a super volunteer (as are some of the other organizer spouses) so he was tasked with picking up coffee and donuts on Day 2 of the Camp. 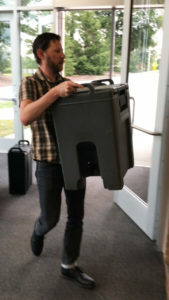 My friend Lex helped set out food and helped with registration as in years past. 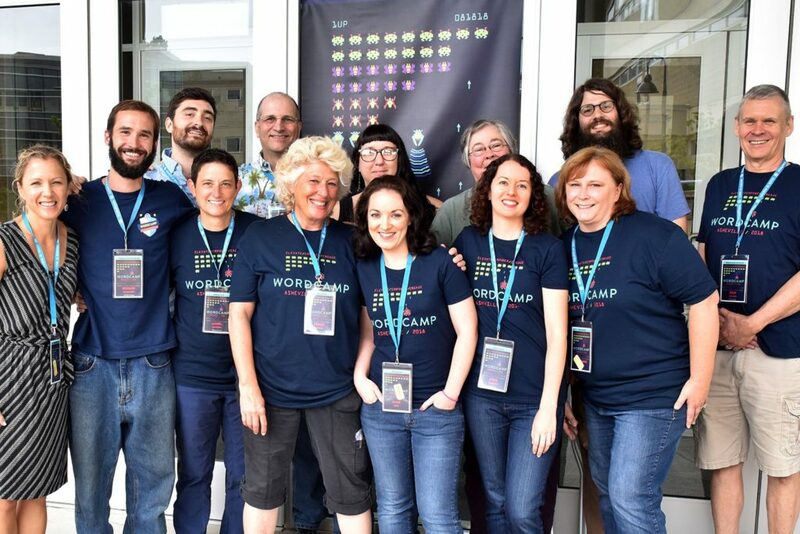 As always, getting to be part of an amazing organizing team is the real joy of WordCamp for me. For me, this year was a different, more relaxed experience since I was no longer lead or co-lead organizer. I’m eternally grateful to Laurel Scherer for taking over the lead role! 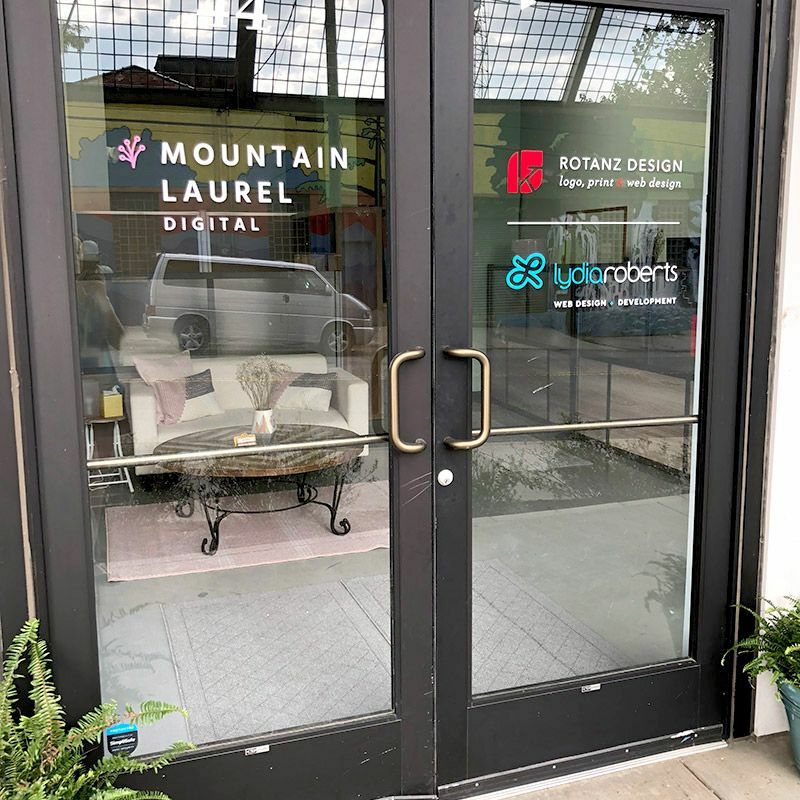 Last year, I felt it was time to let go of the lead and put my focus back on my business, and Laurel stepped right up. The result for me was that this WordCamp was the least stressful and sleep depriving of any prior :). I got to attend Camp without my head spinning full of tasks or stressing about the details. But, the fact that I can still be involved as part of this team means the world to me! I could ramble on about WordCamp Asheville all day, and if you’re still reading you’re probably thinking “you just did!” This is truly one of my favorite times of year and I’m so grateful to be in this supportive WordPress community. The blog is such a valuable resource for area gardeners. It is maintained by a small team of extremely dedicated volunteers who write detailed posts like clockwork. 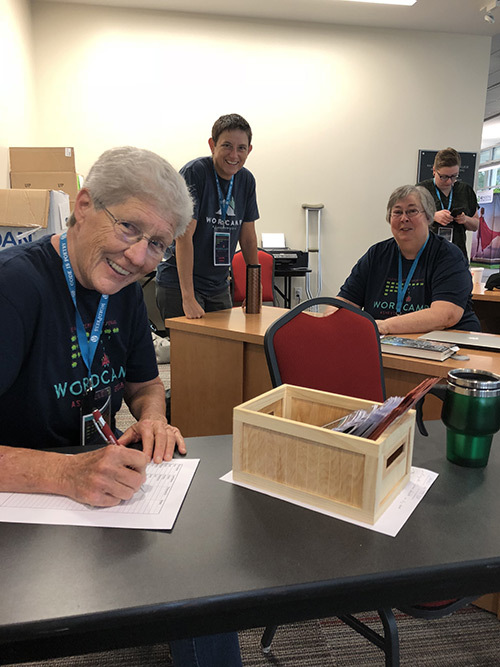 The volunteer writers explain everything from pest management, composting, weed identification, gardening on slopes, pruning trees, and everything else you can think of related to gardening in Western NC. The blog has gained thousands of subscribers over the years thanks to the hard work of the volunteers and their high quality, timely content. 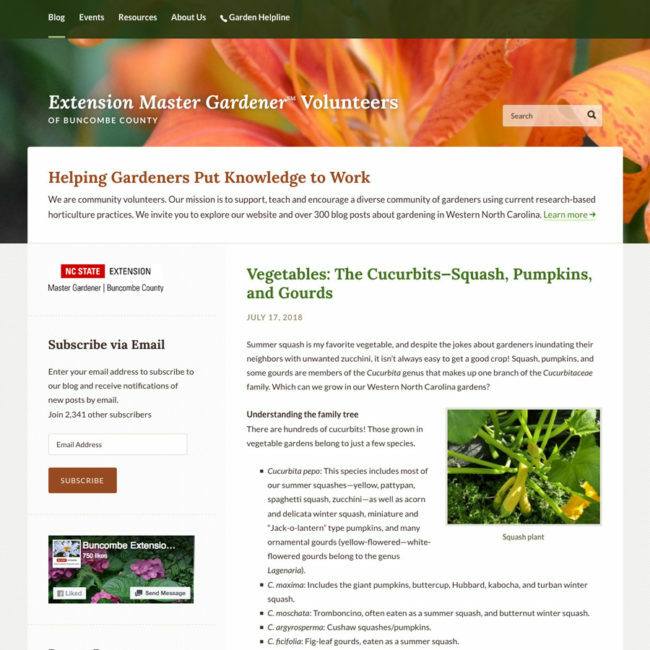 This year, the blog was awarded in the Innovative Project category of the 2018 NC Extension Master GardenerSM (EMG) Search for Excellence! Congratulations to the dedicated women and men of the BCEMG, especially Barbara Hayes and Beth Leonard, who have made the blog such a huge success over the years. Congratulations! The Buncombe EMGV Blog placed 1st in the Innovative Project category of the 2018 NC Extension Master GardenerSM (EMG) Search for Excellence (SFE). The EMG SFE is designed to recognize outstanding educational, group projects that result in significant learning. The team that reviewed applications felt the Buncombe EMGV Blog was extremely well-done, provides valuable and timely information to gardeners in western NC, and truly embodies the mission of Extension and the EMG Program. Here are a few tools that have saved me time, effort, and in many cases, sanity. If there’s one tool everyone with an internet connection should have, it’s a password management system. And no, I’m not talking about the notebook where you scrawl down your latest account login or even the massive spreadsheet you’ve been keeping since 1999. A password management tool like LastPass not only saves passwords for you – it can auto-fill them and even auto-fill forms so you never have to write out email address again. LastPass has been saving me oodles of time for over 6 years, and it’s free. This does just what it says – blocks ads on webpages. Mosto f the time ad block is smart enough to block the bumper ads on YouTube. Want to support a certain site by viewing their ads? Disable ad block on that particular page. If you spend much of your day on a computer, chances are you have a bit of browser tab buildup. That’s right, I’m talking about the 87 tabs currently open in your browser (oh, maybe that’s just me!). Don’t lose your tabs ever again and keep them organized into groups, or tuck them away to clear the clutter. This little browser extension has made a big difference in my workflow! I’m always looking for little web helpers, and I’ll be sure to share them here. I hope these tools are useful for your online workflow! 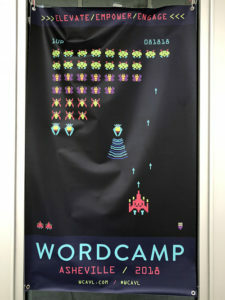 My lightning talk from this year’s WordCamp “Email Marketing in a Flash” is now live on WordPress.tv. The talk is about 15 minutes with some Q+A at the end. If you’re curious about the basics of email marketing and what can make it so successful for business, watch this and tell me what you think. View/Download the slides to my talk here. The cute icons I used throughout the slides are from The Noun Project, a great resource for icons!